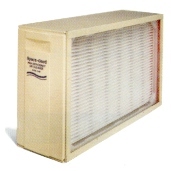 The trouble-free, economical, high efficiency air cleaner for your home. The trapped air we breathe in our homes can be loaded with dust, pollen, spores, and other pollutant particles. Combine that with the fact that we spend 90% of our time inside, and indoor quality becomes a major concern. 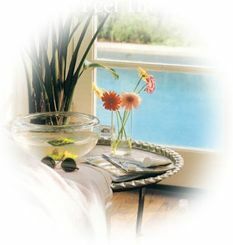 Space-Gard® provides you and your family with cleaner air throughout the home. 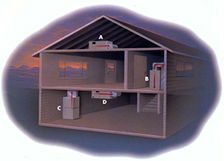 A heat pump is an all-year, all-weather heating and cooling system. It's called a "heat pump" because of what it does - it pumps heat from one place to another. In the winter, it pumps heat into your home; in the summer, it pumps heat out - just like an air conditioner. So, the heat pump heats in the winter and also cools and dehumidifies in the summer. A heat pump is truly a year 'round comfort system. We offer a complete line of manual, automatic, and energy saving programmable thermostats. With a TRANE heat pump and an optional energy saving thermostat, you can get the most comfort and savings from your home with an energy efficient system. Capital City Air has the right system for you. Material on this website is protected by U.S. copyright laws. With the exception of some images and information which are reprinted with permission, material on this site is the property of Capital City Air Inc. and may not be reproduced without express consent of the applicable party. ï¿¿ 2000. All rights reserved.